Sounding like a scene out of a future ‘Harry Potter goes Fast and Furious’ movie, the Cylinder Head Shop’s motor magic recently outwitted a Sorcerer … ‘The Sorcerer’, in the case, being the nickname of one of the world’s most legendary cylinder head tuners, and Knight of the Legion of Honour, Amédée Gordini of the Le Mans winning Renault Gordinis fame. Gordini (1899 – 1979) was one of the 20th Century’s most legendary engine tuners and called the “Le Sorcier” for his ability to breath Grand Prix performance into regular engines. A feat no one at the time believed possible. The Cylinder Head Shop was entrusted by, it has to be said, a very skeptical client to work on a rare and valuable cylinder head. 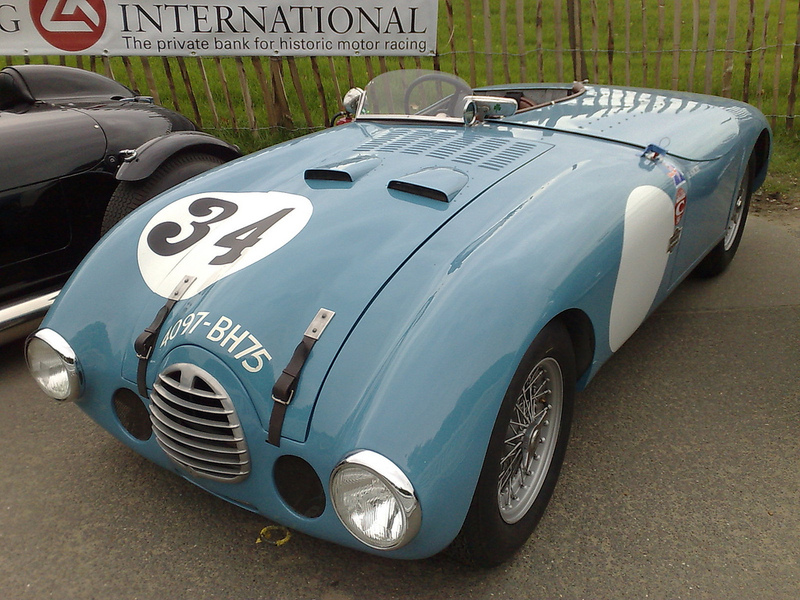 Not just ‘a’ Gordini Renault but one one of Gordini’s own T15S 2.3L race winning cars from the 1950s. This was the car in which Jean Behra & Robert Manzon led Le Mans for more than 8 hours, ahead of Stirling Moss’s C-type Jaguar, Ferrari 340s, DB2 Aston Martins and the über alles Mercedes 300Ls, until its brakes finally failed and Gordini pulled it despite the drivers desire to race on. True blue to our colours, and keen to live up to the promise of being “able to improve any cylinder head”, we accepted the wizard challenge and laid on some of our own race winning voodoo. We did not just bringing the head back back to life but up to date too. The owner was spellbound. Not only did we improve on Gordini’s work, the 1.5l engine performance was increased by a stonking 120 to 149 BHP and its 2.3l 6 cylinder engine from 154 to 195 BHP … the Cylinder Head Shop is not inhibited by other people’s disbelief either. Gordini was an Italian born race driver and cylinder head specialist who started off as a mechanic for Maserati in his teen years. Growing in up Bologna, the heart of the Italian motor industry, at the age of eight he was captivated by automobiles when he saw his first motor race. He began working in a garage at the age of 11 and later joined a Fiat dealership in Bologna, apprenticing with Eduardo Weber who made his name as a famous carburettor manufacturer. Moving to France in the mid 1920’s, he went on to establish a tuning business for Hispano-Suiza engines, joined Simca for whom he tuned engines for racing at the Bol d’Or and Le Mans 24 Hours before WWII and he earned his famous title. On tight circuits, his agile 1200cc and 1440cc vehicles often prove faster than the big 4.5-liter Ferraris and Talbots of the day. A heroic David up against the Goliaths defeated only by a lack of financial support rather than skill and genius. Un ingénieur et ingénieux. Gordini become the first man to win a post-war event as soon as racing began again in September 1945, stretching and supercharging his engines to compete in the early F1 races. By the mid 1950’s, Renault had engaged him to help with their performance engines where he developed and tuned some of the most memorable French racing cars. He raced under a signature blue with two white stripes paint job, regularly beating lap records. Gordini was recognised by France and appointed a ‘Chevalier de la Legion d’Honneur’ (Knight of the Legion of Honour). Many of his young engineers went on to play important roles in the Renault F1 programme. Having become synonymous with sport and speed, and a hero in France, he was buried in the Montmartre Cemetery along with the Free nations’s other notable citizens. (Read more, here). To work on and improve such a historic and valuable cylinder head is an honour but not an unusual one for the Cylinder Head Shop. We have been entrusted with some of the rarest and most expensive cylinder heads in the world. Each of these cylinder heads has also given us the opportunity to learn from some the greatest engine designers in all of history. Experience that benefits other users of our services, regardless of the level of the work we do for them. Client Roger Longland-Hart is keen to point out that increases in performance are not the only benefits of such work. By lightening the valve train, a new level of safety was introduced that would prohibit the valuable engine from destroying itself if it over-revved, and reduced wear on cam, cam fingers and other parts. The head work also went a very long way to resolving a mid-range misfire and removing a dip in the torque making the vehicle much more driveable. All out power is not always the secret to wining races. Fitting valves with smaller stems, changing angles on the seats and further flowing raised the 2.3l engine from 195 BHP to a final figure of 203 BHP, engineering work being done by Oliver Penny based on CHS theory. A vintage BMW head Cylinder Head Shop did for Longland-Hart, an engine copied in the 1948 Bristol 400, went from 38 BHP to 105 BHP. Bristol only made 85 BHP with theirs. A Connaught head built up from a new casting matched the best work by Westlake. Now all we need to do is invent a time machine and go back and start winning some races against these giants to really make a stir … but all this technology can be equally applied to the most modern of vehicles.